Mandalay is known as the second largest city of Myanmar and it is also known as the former royal capital by the northern side of the country of pagodas. This city is famous among locals and international travellers for places like the Kuthodaw Pagado, Mandalay Hill, Shwenandaw Monastery or also known as Golden Palace Monastery, as well as other famous ancient structures. Every year, travellers from all over the world would pay a visit to this stunning city and getting to Mandalay by bus from Yangon is very convenient. 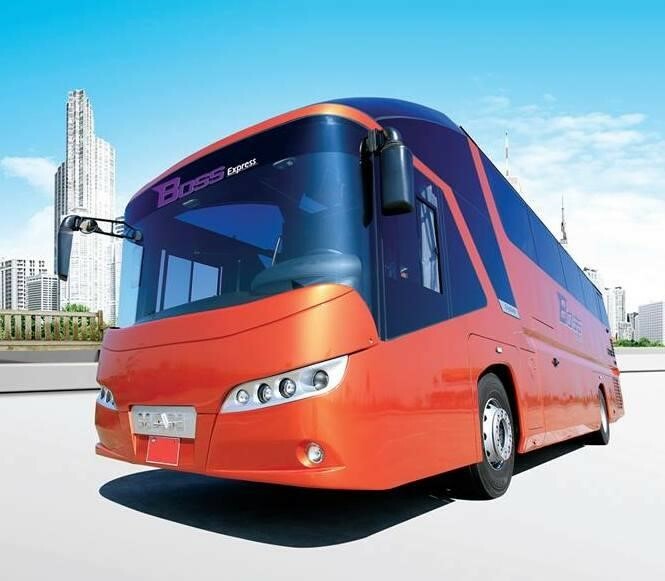 Bus operator Boss Express serves several major routes within Myanmar and anyone can make online bookings for the bus tickets here on Easybook. 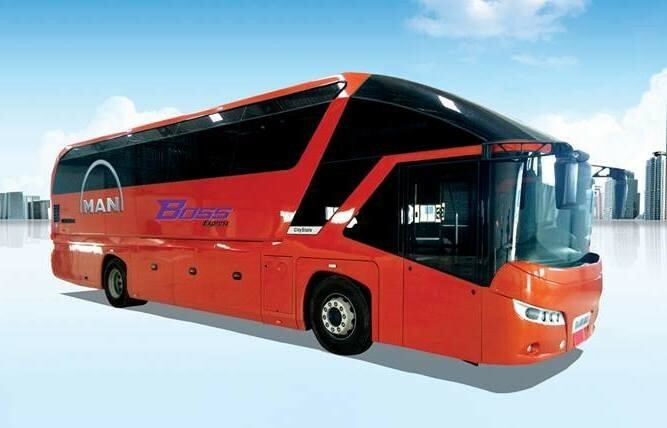 Boss Express is one of the few well-established express bus company in Myanmar liked by many because they offer trips at affordable prices. They launched their bus transportation services in 2013 and has proven to provide great services over the years by establishing a good name for themselves among locals and travellers from different parts of the world. 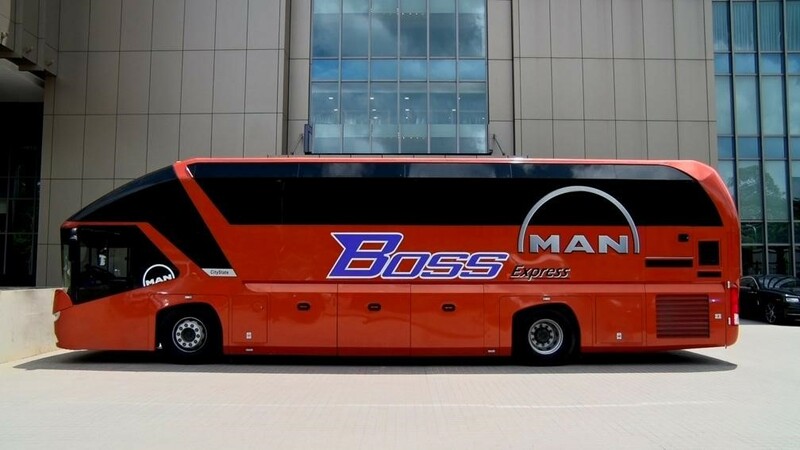 Boss Express constantly works to achieve their goals to provide passengers with luxurious, reliable and safe rides for each destination, in which have gain the company many loyal and returning customers. This company specializes in bus routes that travel from Yangon to the cities of Mandalay and Taung Gyi. The pick-up location in Yangon is the Aung Mingalar Highway Terminal or also known as the Aung Mingalar Highway Bus Station. It is the main bus terminal in Yangon that serves trips to all major destinations in Myanmar. For those travelling to Mandalay, the drop-off is located at Chan Mya Shwe Pyi (Kyweseskan) Bus Station, while Aye Thar Yar Highway Bus Terminal serves as the drop-off point for Taung Gyi. All the brand-new Boss Express buses are imported from Germany and equipped with cooling air conditioner systems to ensure their passengers are comfortable during each journey. The comfortable seats are covered with branded leather and 10-inches touch screen TVs, as well as three-point seat belts to ensure everyone has an enjoyable and safe trip to their desired destinations within Myanmar. 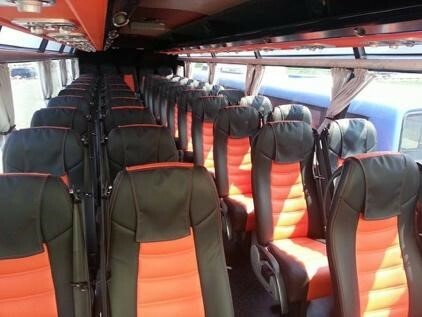 This VIP bus service with 2+1 seating arrangements come with experienced bus drivers that have passed the trainings to make sure that the travelers are satisfied with the services by Boss Express. Unlike in the past, bus tickets were only sold over the counter at the terminals. Thanks to technology, bus tickets are now available for online booking. No matter where you may be, Boss Express bus ticket can be booked through Easybook at any time as long as there is access to the internet. We offer fast online booking for our customers in order to help them secure the Myanmar bus ticket in advance. Key in whether the pick-up location from Yangon to either Mandalay or Taung Gyi, then select the travel dates and number of people travelling from the main page. In the next page, the available bus schedule with the respective operator and ticket price will appear to choose from. Pick the trip that is most suitable, fill in the particular details before going ahead with the online booking. Once the payment has been done, users will receive the order summary for Boss Express bus ticket within the next few hours via email. Follow this simple booking guide to purchase the bus tickets for the next trips to Mandalay or Taunggyi in Myanmar!